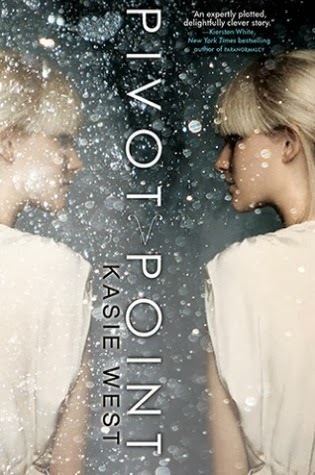 I had my eyes on Pivot Point for such a long time and as a fan of Kasie's The Distance Between Us, I was going into reading with a completely open mind. I had heard so much praise about how Kasie effortlessly glides from genre to genre, so I was completely over the moon to get a copy from HarperCollins 360! Addie Coleman isn't a ordinary teenager, and those around her aren't quite "regular" either. She is a Searcher, which means that she can see the both conclusions of a choice she wants to make, and can choose whichever outlook is better suited to that choice. So when her parents spring on her that they're getting a divorce, Addie knows her gift will truly be an asset. The choices Addie is faced with aren't quite so simple, as she thought. She can either move out of the Compound where she and the others alike her abilities live and leave with her father, to go to the "Norm" world or stay with her Mother in the Compound where she has lived all her life. But it's not straight forward, and both choices have outcomes so equally complicated than she had planned. She thought that it would be simple, at first. She's spent her whole life in the Compound with her family and had an amazing best friend; Laila, so she would stay there. But when Addie does a search into the future, she is faced with the idea that maybe what's ideal isn't always what we want and that sometimes, knowing the final result isn't always easier. Pivot Point could not have been an ounce better. There are only a handful of books that I can truly say I devoured from start to finish with a bond to the characters and plot. It's also one of the few that I could see play out with the descriptions in my mind, playing along with the plot, which is the one thing that takes the novel from liked to loved. The concept for Pivot Point was outstanding, flawless even. The abilities that those that live in the Compound have are so different to the supernatural beings we see in usual YA books, with Addie's power and also for example, her best friend Laila, can erase certain parts of someone's memory or a memory in itself. It was truly refreshing to see a piece of Young Adult literature come to life in a way that hasn't been done before. 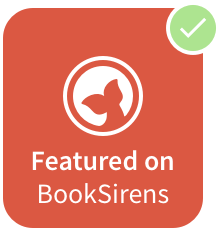 It also has some moving subjects such as the divorce aspect that Addie deals with, and touches on some of those emotions that a teenager would go through during that time. A TOP favourite thing of mine was the characters, that were so likeable that you'll want them to be your friends or fellow love interest, like Trevor or Duke, Addie's interests in either outcomes. There were no "insta-love" moments, which are sometimes unrealistic, so with it being a slower and gradual connection, which made it all the more loveable. If I had to pick who I'd like Addie to be with in general...I would have picked Trevor, because I think they had a more enthralling connection and he was a ton more likeable character in my opinion and there was just a little extra something about them that felt genuine and true. Overall, Pivot Point is not to be missed. A mix of paranormal worldly events mixed with a "norm" world and it's equal dilemmas, not to mention it's downright hilarious humour, Kasie West has written a light, addictive and phenomenal novel packed with all the ingredients for a perfect YA novel. And THAT ending! I am on the edge of my seat for the sequel; Split Second, due out in 2014! How amazing will it be?! 5 stars! Have you read Pivot Point? Great review! I really loved Pivot Point, the whole parallel story thing was so intriguing. I would have chosen Trevor too, he was soo sweet!